In 2002, when Robert Hicks, owner of the Buffalo Bulletin newspaper in Buffalo, Wyoming, learned that the Johnson County commissioners canceled a conservation easement on a local property, he wasn’t happy. And when he learned that the landowner had subdivided part of the land and put it up for sale as a home site at $1.2 million, he was furious. The way he saw it, the previous landowner donated that conservation easement, and the public invested in it by letting the donor reduce his taxes, to keep development off a piece of open private land forever. In June 2003, he sued to have the Meadowood conservation easement put back in place. It took almost seven years for the Meadowood case to make its way through the courts. During that time, land trusts and conservationists from coast to coast anxiously awaited the decision. The stakes were high. Should the courts agree with the landowner and commissioners that they had a right to cancel the easement, the millions of acres under similar conservation agreements across the country, and their billions of dollars of development rights, could be up for grabs. The Meadowood case is just one example of a situation in which someone tried to change or terminate a conservation easement, which is meant to be a permanent land protection tool. Depending on how courts interpret conservation easements, such cases test the ability of these instruments to actually conserve landscapes long-term. A conservation easement is a legal agreement between a landowner and a land trust or government entity to keep houses and other development off open private lands. In some ways, it’s an elegantly simple tool, true to western ideals. Conservation easements, more affordable to land trusts than buying land outright, limit sprawl while letting farmers and ranchers continue to live on and work the land. However, federal tax deductions allowed by the Treasury Department for donated easements introduce complications. A landowner who donates a permanent conservation easement can deduct its value from her taxable income. Some have abused this tax incentive, using it to reduce their taxes without advancing any conservation. Others have tried to alter or terminate conservation easements to unlock the development potential they restrict. As times goes on, conservation easements will only face more societal and legal strains. New owners will take over conservation easement properties and put pressure on land trusts to alter the terms or even to cancel them. More people will be tempted by the conservation easement tax incentives. And undeveloped open spaces will become increasingly valuable. While conservation easements are a popular tool, already protecting millions of acres in the United States, it’s still unclear how the law will develop in response to these growing pressures. As the courts work through conservation easement disputes like the Meadowood lawsuit, the Treasury Department is proposing reforms to curb tax deduction abuses. Whether Congress adopts those reforms, and how the courts interpret existing conservation easements, will determine whether these private lands will continue to provide open spaces and other public benefits into the future. Under a conservation easement agreement, a landowner voluntarily gives up the right to subdivide and develop a piece of private land, usually in exchange for payment or a tax break. The landowner retains many rights to the land, including the right to farm or ranch, hunt or fish, pass the land along to kids or grandkids, sell the land, and in some cases even build a home or other structure there. The right to subdivide and develop the land transfers to a land trust or other conservation entity, which holds those development rights without exercising them. The easement holder is obligated to ensure the landowner and any other future owners of the land abide by the conservation terms of the easement forever. Land trusts and other entities have used one version or another of conservation easements to secure the public value of open space on private lands for over a century. In the 1930s and 40s the National Park Service paid landowners to keep homes and other development off about 1,500 acres visible from the Blue Ridge Parkway in Virginia and North Carolina. In the 60s and 70s, land trusts were entering conservation agreements with landowners across the country. Since at the time there was no overarching law governing conservation easements, each organization crafted legal documents as it went along. In 1964, the Internal Revenue Service first gave a tax deduction for a donated easement protecting open space on private land. In 1976, Congress temporarily allowed landowners who donated a permanent conservation easement to a qualified organization to deduct its value from their federally taxable income. Then in 1980, Congress made those deductions a permanent part of the charitable giving section of the US Tax Code, and in 1986 the Treasury Department published regulations clarifying how those tax deductions were supposed to work. Reducing a landowner’s taxes essentially allows the public to pay him for the public benefits his land provides, such as protection of ecosystems, open space, agricultural and forest lands, and scenic views. 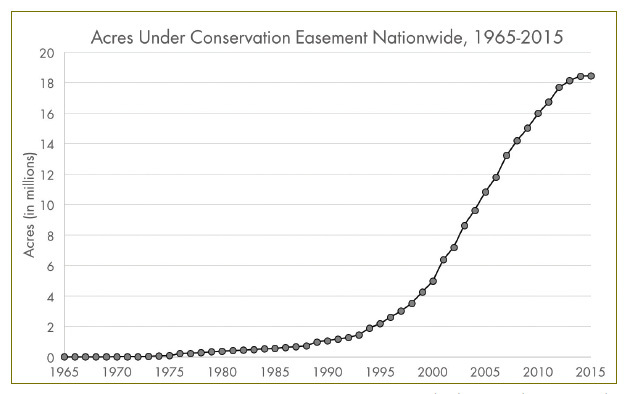 In the early 80s, the whole idea of conservation easements was still relatively new and starting to gain traction, particularly on large ranches in the West. “The idea was appealing and right for the culture there,” wrote Jean Hocker, founding executive director of the Jackson Hole Land Trust and president of the Land Trust Alliance from 1987 to 2001. Conservation easements provided a way to protect big, working acreages from sprawl while allowing ranchers to keep using the land. Such transactions were good for land trusts too. They cost less than a land purchase and could be negotiated on private lands that were not for sale. Since 1980, land trusts have proliferated. Today around 1,700 of them hold conservation easements across the country. They range from tiny, volunteer-run local organizations holding a few small easements to huge national or international land trusts with multi-million-dollar budgets like the American Farmland Trust and The Conservation Fund. Of the land trusts that hold conservation easements in Wyoming, six have a strong local or state-wide presence. That’s fewer than neighboring states. The Montana Association of Land Trusts lists 12 land trust members and the Colorado Coalition of Land Trusts includes 32. The National Conservation Easement Database reports that as of October 2015 more than 23.5 million acres in the United States (equivalent to an area slightly larger than the state of Indiana) were under conservation easement. That number probably represents less than 70 percent of actual acreage, since not all easements are recorded in the database. Thousands of conservation easement transactions take place on hundreds of thousands of acres each year in the United States. 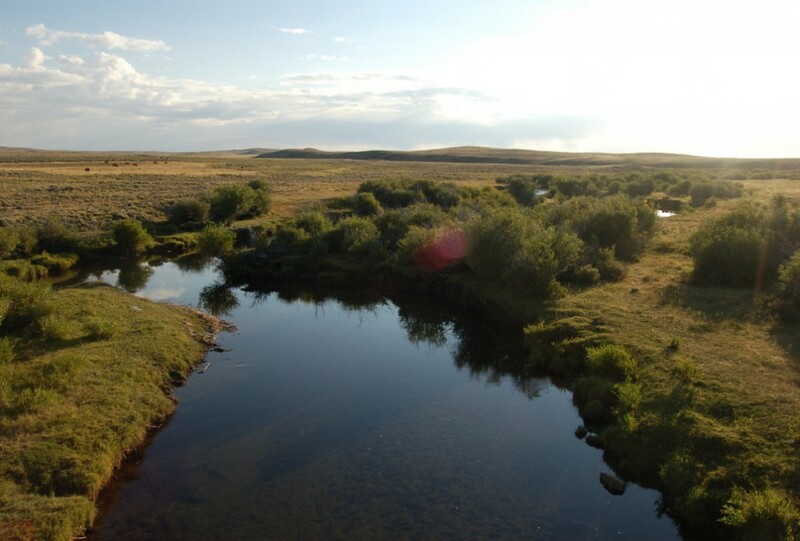 Of Wyoming’s 26 million acres of private lands, over 500,000, or roughly 2 percent, are under conservation easement. A conservation easement reduces the value of the land it restricts, usually by about 30 to 60 percent, though some fall outside that range. So a ranch that’s worth $1 million without a conservation easement might be worth $400,000 to $700,000 with an easement in place, depending on the easement terms and other factors. The easement’s value would be the difference, somewhere between $300,000 and $600,000. Determining those values is a complex process in which it’s easy to make mistakes, be subjective, or even misconstrue information. Conservation easements can be extremely valuable, though pinning down their worth is difficult. In most cases, the easement value is kept private, known only to the appraiser, the landowner, and the land trust (as well as the Internal Revenue Service if the donor claims a tax deduction). One of Wyoming’s most expensive conservation easement transactions, covering 19,000 acres of the Sommers and Grindstone ranches outside Pinedale in 2010, was worth $19.7 million. In 2012, the IRS reports, conservation and historic preservation easements for which taxpayers claimed deductions had an average value of $784,806. The total value of easements reported that year was just under $1 billion. The conservation easement on the Meadowood Ranch was pretty typical. The landowner donated it in 1993 to protect the agricultural, wildlife habitat, scenic, and other values on the land for the rest of time. He gave the easement to the Johnson County Commissioners, who a few years later created the Johnson County Scenic Preserve Trust to hold the easement. The landowner deducted over $1 million from his federally taxable income in exchange for the donation. Then in 1999, the ranch sold to a new owner, and soon after that the coalbed methane boom took off in the Buffalo area. As is true of many lands around northeast Wyoming, the federal government owned the mineral rights and leased them to an energy development company, separate from the surface property. When the original landowner had created the easement nearly a decade before, he determined that the possibility of energy development on the ranch was extremely remote. Furthermore, the conservation easement terms explicitly prohibited mineral development. Suddenly a development company showed up and started drilling. Since landowners are legally required to grant access to federal minerals under their property, there was nothing the new landowners could do to stop it. The landowners feared they would be held accountable for violations of the conservation easement as the development progressed, and they claimed expanding roads and infrastructure associated with the energy development would interfere with their agricultural production. They said they wanted to sell off a parcel of land to cover their potential lost ranching income. So they asked the county commissioners to terminate the easement on the ranch. After several lengthy discussions, on August 6, 2002, the Johnson County commissioners agreed to cancel the easement, triggering Hicks’s lawsuit. Hicks argued that to terminate the conservation easement, the landowners and county commissioners needed to prove before a judge that continuing to conserve the land had become impossible and, if that were the case, they would need to replace the easement with another one of equal value. As it turned out, the coalbed methane wells only affected a few acres of the ranch, and they didn’t strike gas, so it’s unlikely the landowners could have proved that continued conservation was impossible. In that situation, Hicks wanted the conservation easement reinstated on the ranch. It would take several years for the courts to give him an answer. The Meadowood case illustrates how conservation easements affect not only landowners and land trusts, but also the IRS, the courts, and, most importantly, the public. These private transactions are complex and ultimately very relevant to the public, which invests billions in them and benefits from their conservation outcomes. Over the years, conservation easements have come under scrutiny for all sorts of reasons, raising questions along the way about how effective they really are for protecting open spaces. Suspicions about conservation easements flared up in 2003 after the Washington Post published a series of scathing articles investigating The Nature Conservancy. The articles highlighted a practice wherein the land trust would buy a property that a donor wanted, place a conservation easement on the property, and then sell the property to the board member or donor at the reduced price in exchange for a donation for the difference. The landowner received tax write-offs for the donation and the easement, and the land trust got a conservation easement. The easement agreements prohibited some types of development, but usually included the option for landowners to build luxury homes, horse barns, pools, and other desired amenities on the properties. 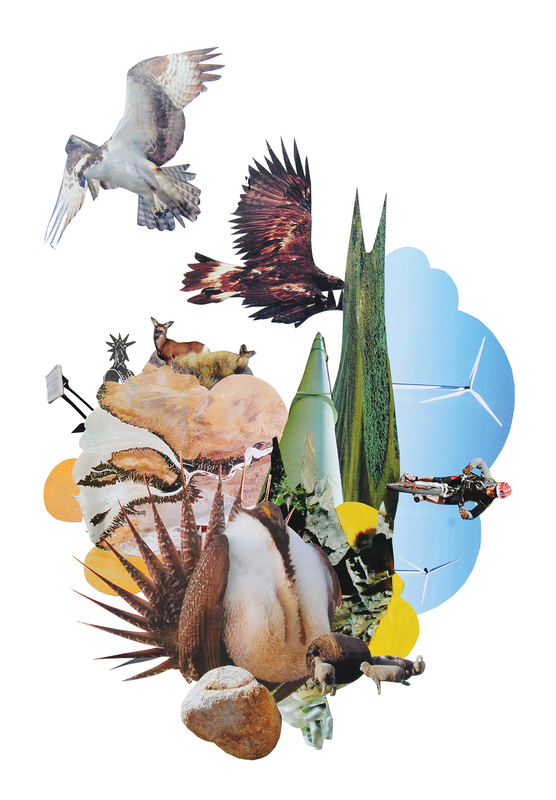 Following publication of the articles, The Nature Conservancy reviewed and updated its policies, and today the organization is considered by many to be the gold standard for ethical conservation easement transactions and stewardship. The organization holds more conservation easement acreage than any other nonprofit land trust in the United States, and has helped smaller land trusts secure thousands of additional easements. But many remain skeptical of conservation easements. Other dubious uses of the tool appeared in the media through the 2000s. One critique of the federal income tax incentive was that it benefitted high-income landowners much more than low-income landowners. 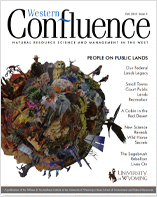 In 2005, High Country News investigated a situation in Montana in which a developer subdivided big ranches into smaller parcels to jack up land prices, built high-end homes on some of the parcels, placed conservation easements on open areas adjacent to the home sites, and used the promise of tax deductions from future conservation easement opportunities to incentivize wealthy customers to buy in. He claimed he was stopping cheap, ugly, dense sprawl. His critics claimed he was using conservation easements to market development and working against the conservation intent of the tax deduction incentive. Colorado has been a hotbed of conservation easement abuses, stemming in part from a unique system that allows transferable state income tax credits for conservation easement donations, in addition to the federal deductions. A landowner who donates an easement can sell the resulting state income tax credits to other taxpayers. The landowner gets cash, and the transferees receive reduced tax liability. High land values and abundant wealth in the state, as well as insufficient oversight of the conservation easement credit program, invited bad behavior. Crooked appraisers were overvaluing conservation easements. One swindler manipulated the transferable credits to steal money from Colorado taxpayers. He was sentenced this year to 83 years in prison plus $6.9 million in penalties. In 2012, the Colorado state auditor issued a 107-page report describing conservation easement abuses and calling for fixes. The state has since ramped up conservation easement oversight, and is now calling on landowners to pay back millions in taxes for some 500 conservation easements overvalued in the early 2000s. In 2006, the Treasury Department increased the federal tax incentives for conservation easement donations with the intent of attracting more low-income landowners, including farmers and ranchers. At the end of 2015, Congress made these new incentives permanent. Whereas before a donor could claim the deduction for an easement donation to the extent of only 30 percent of her federally taxable income each year for up to six years, under the new incentives, she can deduct up to 50 percent of such income for as long as 16 years. Furthermore, a donor who makes at least half of his income from agriculture in the year of the donation can claim the deduction to the extent of 100 percent of his federally taxable income for up to 16 years. This means that a landowner with valuable agricultural land and a small income who donates a conservation easement can go as long as 16 years without paying any federal income tax. Many in the conservation community celebrated the enhanced incentives. The national Land Trust Alliance, which organizes land trusts to develop policies and build public support for conservation, called this move “one of the most powerful conservation measures in decades.” But others have some hesitation. Increasingly, the IRS has been cracking down on federal tax deduction abuses. McLaughlin keeps a meticulous record of legal cases in which the IRS has questioned tax deduction claims for conservation easements (as well as historic façade easements, covered by the same section of the tax code). She’s found over 80 such cases, with a spike since 2011. Most fall into two categories: qualification abuses, in which a taxpayer claims a deduction for an easement that does not actually advance any conservation measures or permanently protect the land, and valuation abuses, in which the taxpayer greatly overstates the value of the easement. To give an example of a qualification abuse, in a case called Atkinson v. Commissioner decided in late 2015, two North Carolina golf course owners deducted $7.88 million from their taxable income for conservation easements covering the courses. The IRS hired an expert from the Duke University Wetland Center to evaluate the conservation value of the golf courses. He noted, among other observations, that of the very little wildlife present on the property, the most abundant species was geese, and the golf course owners employed a border collie to chase the birds away. “The court determined that the easements did not satisfy either the habitat or open space protection conservation purposes tests of IRC § 170(h),” McLaughlin wrote, referring to the conservation easement section of the federal tax code. The golf courses had to pay back the tax deductions they’d claimed. However, “the Tax Court declined to decide whether operating a golf course is inherently inconsistent with the conservation purpose of protecting relatively natural habitat,” she added. That question is still undecided. Boltar v. Commissioner, decided in 2011, illustrates a classic valuation abuse. A landowner claimed a nearly $3.25 million tax deduction for a conservation easement on an eight-acre property in Lake County, Indiana. Appraisers estimated that without the easement, developers could build a 174-unit condominium project there, making the land worth $3.34 million, or more than $400,000 per acre. The Tax Court found this appraisal “too speculative and unreliable to be useful,” pointing out that a housing development of that size would not fit on the property, the land was not zoned for such a development, the population in the area was declining, and neighboring properties were selling for only $12,000 per acre. The landowner was still allowed to claim a conservation easement tax deduction, only it was just $42,400 rather than the $3.25 million the appraisers had suggested. Every year since 2012, the Treasury Department has proposed reforms to limit conservation easement abuses and reduce the resources going into court decisions. The Treasury Department’s proposed reforms include creating a more rigorous definition of what qualifies an organization to accept and hold conservation easements; requiring a detailed description of the conservation purposes and public benefit each easement is meant to provide; improving transparency by making some information about transactions publicly available, including the before and after values of the property and the restrictions imposed by the easement; and prohibiting conservation easements on golf courses. Such proposed reforms have the potential to improve the effectiveness of what is still a relatively young legal mechanism. “We are very much still in the grand experimental phase with regard to conservation easements,” says McLaughlin. Land trusts, which have focused mostly on acquiring new conservation easements, are now shifting toward stewarding the easements they hold. New acreage going under conservation easement increased steeply in the first decade of this century, and is now starting to flatten. While that doesn’t mean there couldn’t be another surge in conservation easement transactions, it might indicate that the low-hanging fruit has been picked. In this new “stewardship phase,” as McLaughlin calls it, more properties under conservation easement will change ownership, more of the new owners may wish to alter the terms of or terminate the easements, and more easement interpretation and enforcement disputes may come before the courts. This is a phase in which each legal decision could ripple across the country. The Johnson County case climbed to the Wyoming Supreme Court, where the judge told Hicks he didn’t have standing, and instead invited the state attorney general to sue on Hicks’s and the people of Wyoming’s behalf. Finally, after seven years, in February 2010, the attorney general, the landowners, and the county commissioners reached a settlement according to terms laid out by the Fourth Judicial Court in Johnson County. Under this agreement the conservation easement was reinstated, with some court-approved modifications to clarify that the surface landowner would not be held accountable for the actions of the subsurface mineral lease holders or impacts from natural gas development. The home site hadn’t sold, so that parcel was reunited to the larger ranch. The Meadowood Ranch sold again in 2011, under the name C Bar B Ranch. 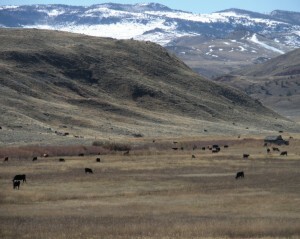 This winter, the Johnson County commissioners voted to transfer the conservation easement on the ranch to the Wyoming Stock Growers Agricultural Land Trust, which is better equipped to steward it. The Stock Growers Land Trust plans to hold its annual BBQ fundraiser and meeting on the property this August. Thousands of people have donated or sold conservation easements on their land with a true conservation intent. Like the Johnson County conservation easement, most of these agreements do ultimately serve conservation purposes and provide the public benefits they were meant to. They keep private lands free from new development. They protect open views, wildlife habitat, and the rural character of landscapes. They allow landowners to keep ownership of and control over their property, continuing to raise hay and livestock or do other activities on the land. Millions of acres remain free from housing sprawl thanks to the conservation easement tool and federal tax incentives. If conservation easements are accurately valued, used to protect land with real conservation benefits, and truly permanent, they will ensure that future generations enjoy open spaces. Though questions remain about how well conservation easements will withstand pressures on the lands they cover, the problems with conservation easements are problems worth fixing. Internal Revenue Code, 26 U.S. Code 170(h), Charitable, etc., contributions and gifts: Qualified conservation contribution. Treasury Regulations, 26 CFR 1.170A-14, Qualified conservation contributions. Joe Stephens and David Ottaway, “Nonprofit Sells Scenic Acreage to Allies at a Loss,” The Washington Post (May 6, 2003). Ray Ring, “Write-off on the Range,” High Country News (May 30, 2005). David Migoya, “Easement program failures penalize taxpayers, landowners,” The Denver Post (December 19, 2014). Nancy McLaughlin, “Atkinson v. Comm’r – Golf Course Conservation Easements Not Deductible,” Nonprofit Law Prof Blog (December 11, 2015). Nancy McLaughlin, “Conservation Easements and the Valuation Conundrum,” Florida Tax Review 19, no. 4 (2016). Department of Treasury, General Explanations of the Administration’s Fiscal Year 2017 Revenue Proposals (February 2016): 213-216. Salzburg v. Dowd, Stipulated Judgment in the District Court for the Fourth Judicial District Johnson, County, Wyoming (February 10, 2010).